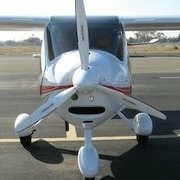 I've been following some threads on other forums about "cleaning/protecting your plane". Washing, waxing, bug cleaning, belly cleaning, etc. A variety of names popped up, but one that I'd never heard of seemed to get mentioned a lot. Wash Wax All. As it turns out, I inherited a bottle of their cleaning/waxing product when I bought my new CT. I've been using it for several months and like it a lot. Has anyone else used it? The product can be used with/without water. It replaces the Turtlewax ICE I had been using, and is used in the same way. It's pretty much pH neutral, about the same as salt water. They have a bunch of products, including one that seems to be meant for the belly. Their degreaser/cleaner is mild (close to the middle of the ph table). Anyone ever try this? Wash Wax All seems to be safe...most of the pilot supply sites have it. I use their leather conditioner product. The problem with it is finding it at a good price with free shipping. So uhhh, do we have leather, or is it vinyl? It's an important distinction, because products don't work for one if it's designed for the other . Leather or vinyl...?? I'm sure there's some of both out there. I've seen both black and tan leather. Plus, some have redone their seats with who-knows-what. The company has two products for leather: Leather Soap, and Leather Care. Can't tell the picture is too small. But the stuff I have is brown and is in a bottle like that one. Its for leather care. Okay . . . thanks. I've invited the folks from Aero Cosmetics to join the forum. They may be able to answer some questions. What is Aero Cosmetics doing to improve their product line for aircraft which are constructed with carbon fiber surfaces? Wash Wax ALL, Wash Wax ALL Degreaser, and Belly Wash have always been safe on carbon fiber surfaces. No improvement necessary. Brian, are these products 100% Ph-neutral? Our airplanes are very sensitive to Ph. It's the core that is the problem. If you guys have not already done so, you should do a demonstration soak with your products in a video. If we have a chat over the phone sometime, I'll tell you the companies and the FD specific foam core products that you need to order for your demonstration. Andy, We are on the basic side of neutral Ph. We have to be to meet Boeing and Airbus specs. We would be happy to run test on FD specific foam core products. Please let us know where to obtain them. I have a few questions that I was hoping you guys can help me answer. 1. What do you do about the fact that tap water is not neutral in Ph (its on the basic side of Ph) how do you rinse off your plane? 2. Who came up with FD specific foam core test? Boeing and Airbus do not seem to be concerned with this when they seem to be overly concerned about everything else. 3. Why and how is moisture getting into the core of the composite? We have been though exhaustive testing for many of our customers (mouths of testing for airlines and it took over a year and a half to get approved for Air Force One) all of witch have composite parts. 1) I don't think normal tap water is so far from neutral Ph to cause a problem. The issue is really that some cleaners *are* far from neutral and that is where we need to be careful. I have been using Composiclean buck wash and spray wax, which are recommended by Flight Design and are advertised as neutral Ph. Of course, true neutral Ph cleaners do not clean as aggressively as basic or acidic cleaners. Also, airplanes left out in rainwater or on floats have had foam collapse issues due to overly acidic or alkaline content. 2) I don't know if there is a specific "test" for the CTs...I only know that some airplanes have suffered foam collapse due to what is believed to be Ph issues. 3) Good question. Inadequate sealing? Sealing that breaks down under certain conditions? It does seem that, for whatever reasons, the composite construction in the CTs is more sensitive than many other composite aircraft to these kinds of problems. I'm sure others that have more direct knowledge than myself will have more complete information (or at least more informed speculation). FD literature says they changed the foam when they started making the CTLS (the phrase was something like increased resistance to environmental conditions). It seems to me that all - (?) - of the foam issues have been on CTSW models. 1) tap water can be acidic or basic, depending on the region. Treatment plants only need to get it close to neutral. Generally, the amount of dilution used with cleaners makes their ph almost unimportant, but it can still be an expensive mistake. 2) rohacell foam is vulnerable to alkaline compounds. It's one of the materials used. It's acid resistant against fuel. Airex is what is used in the fuselage. I am trying to get specifics for you. 3) drain holes and "wicking". Carbon fiber doesn't really wick, fiberglass does, and aramid fibers do really really badly. Finally, Flight Design is not Boeing or Airbus. 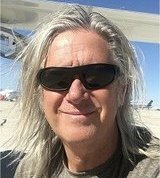 Us owners are also much more impacted by problems with our aircraft, so we are a lot more cautious.
. . . "It seems to me that all - (?) - of the foam issues have been on CTSW models." . . . It would be interesting to see the data which supports that? It's more of a question than a statement. All the examples I've come across were CTSWs, and putting that together with FD's statement about 'improved resistance' for the CTLS does tend to point things in that direction. Has anyone come across foam breakdown in a CTLS? Thank you for the list of what we need. Do you know where we can get this stuff? in small quantities just for testing? OK... after reading all of this, what is the consensus? What should I be washing/waxing my CTSW with? Wash with Composiclean. Wax and wipe bugs off with spray on Compsiclean wax. "Oil Eater" to wipe off hard to get oil and dirt and wash K&N air filter's. Does one have to rinse the composiclean bucket wash? I don’t know the entire situation yet, but I have a bubble behind the stall strip along the first rib on the right wing of my 2010 CTLS. It is not soft and I can see the cross hatching of the carbon fiber mat. There are no visible holes and it does not seem to be fuel related. I hope to get the plane to Paul in Estherville, IA after I complete my annual. He is talking to FD USA to get input, but I have not heard anything back yet.